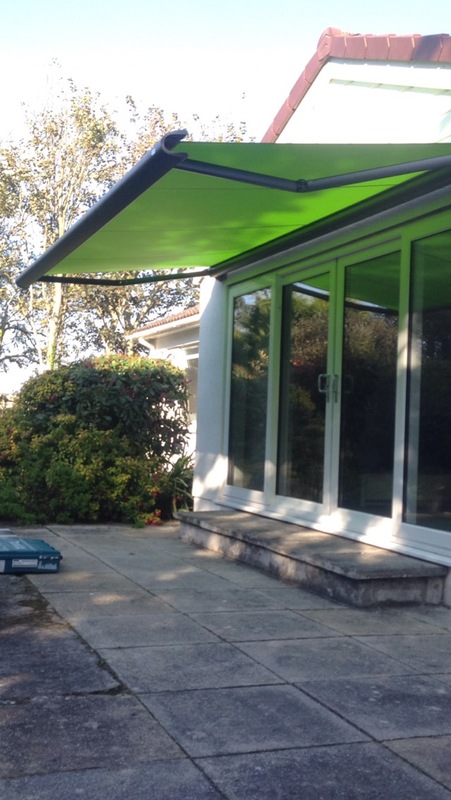 Shading even in winter makes the inside space more comfortable, and on the unusual occasion that we need some shade outside they are invaluable. 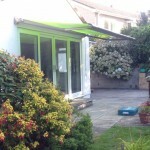 In all honestly ours is used as much as a rain shelter as sunshade. 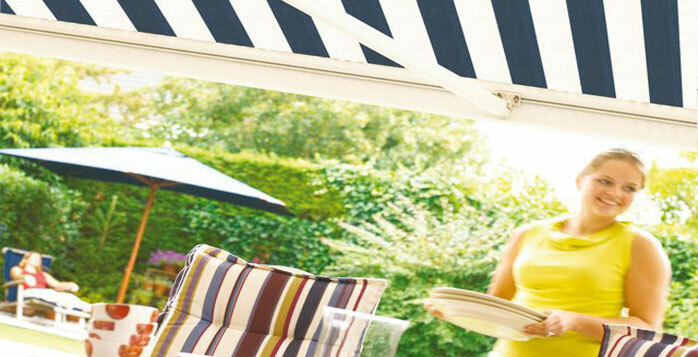 We have had many barbecues where the weather has been ‘English’. 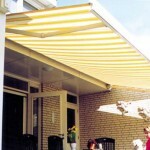 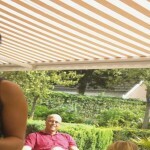 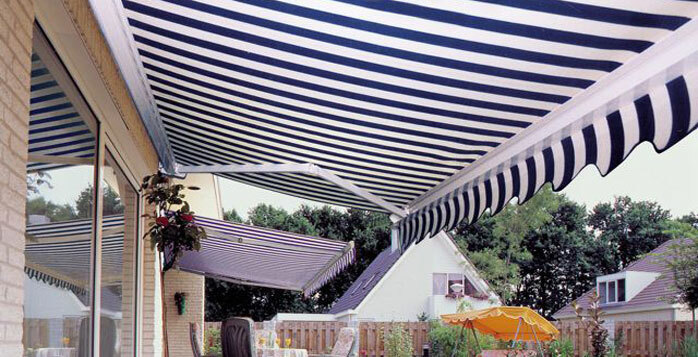 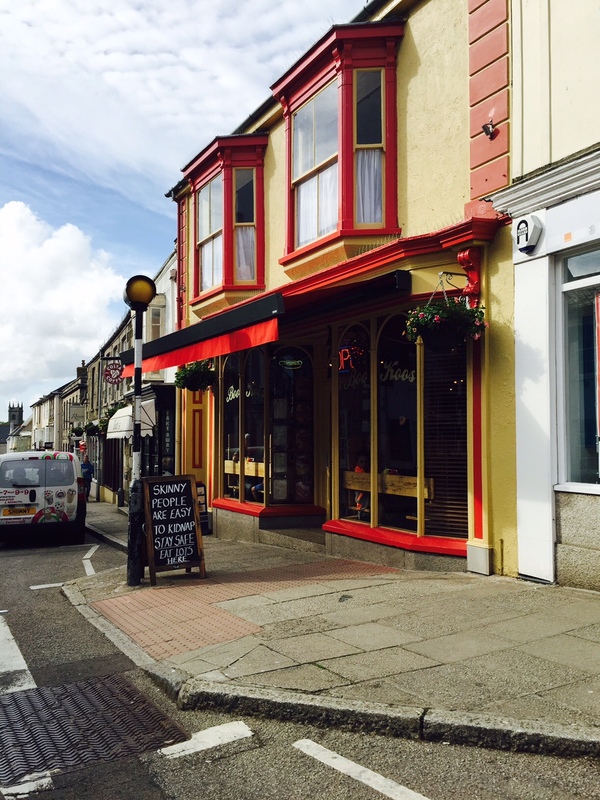 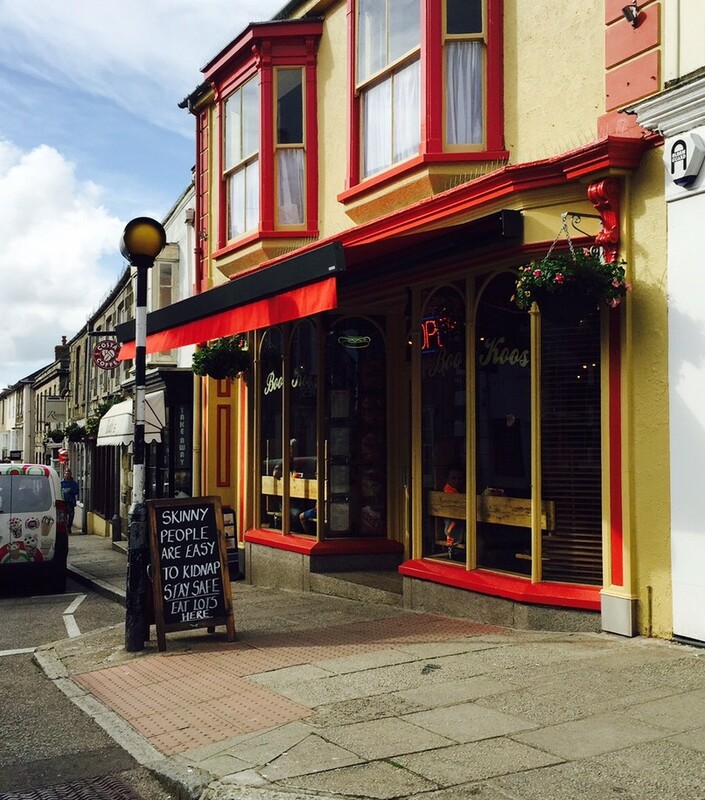 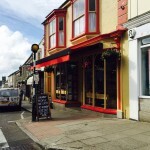 The awnings provide a great place to shelter and enjoy some outside space without getting wet! 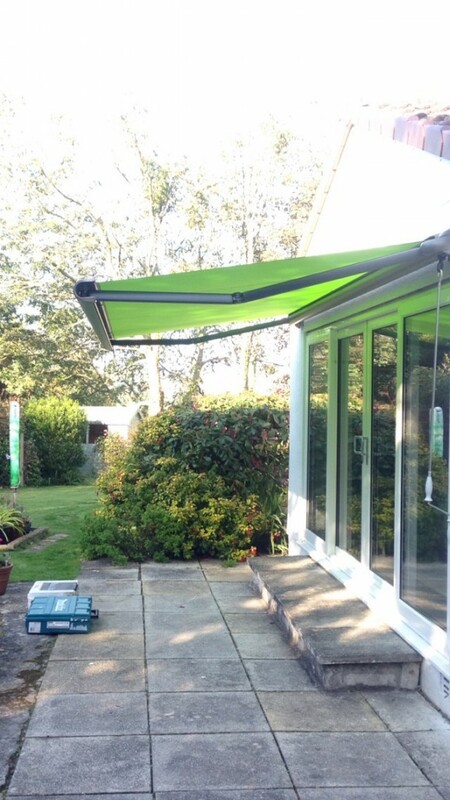 We can produce awnings up to 7metres wide with a 3.5metre projection, 2 awnings can be installed side by side if required. 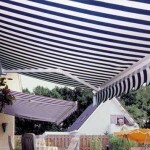 We recommend automatic awnings for a few reasons, ease of use is one, but safety is another. 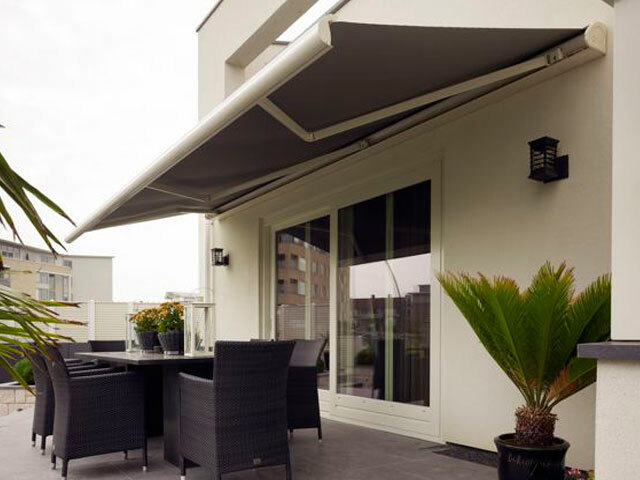 Automatic awnings have integrated wind sensors, if you pop out and the wind increase above a certain level the awning will retract itself safely to prevent damage. 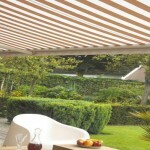 Fabrics are variable in a huge colour choice and we can have them printed for commercial purposes. 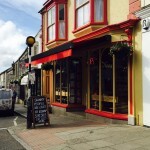 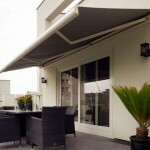 We use awnings from Markilux and Lakeland. 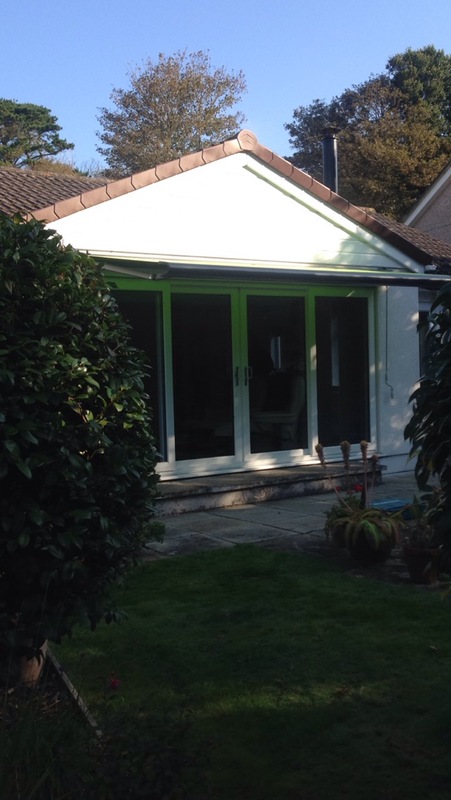 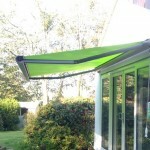 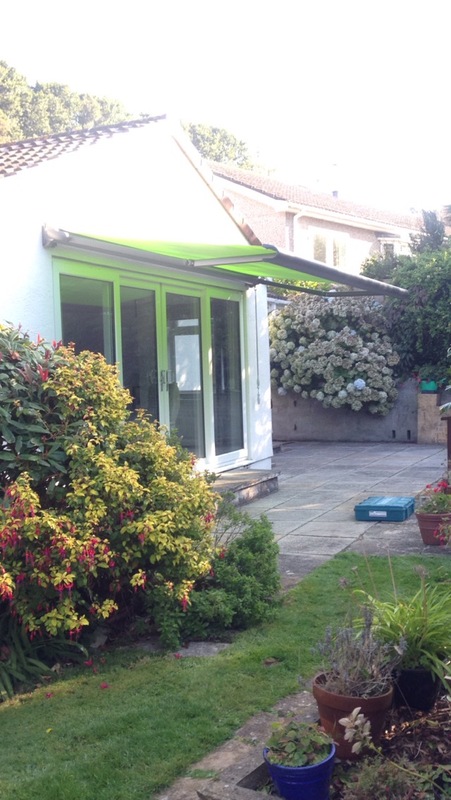 Lakeland awnings are good quality standard awnings with a large colour choice. 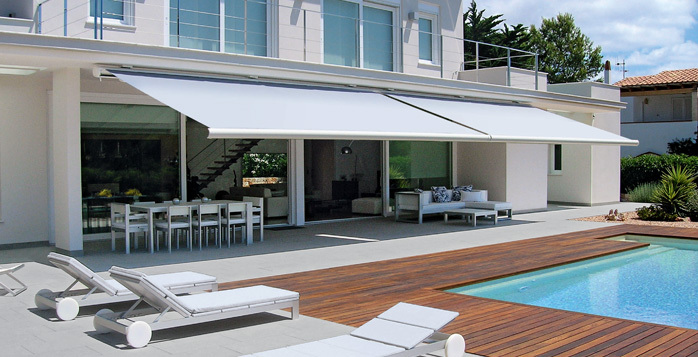 Markilux however are something else. 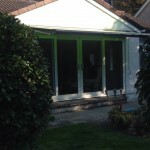 The styles of the cassettes, integrated lighting and heating, all remote controlled for simplicity. 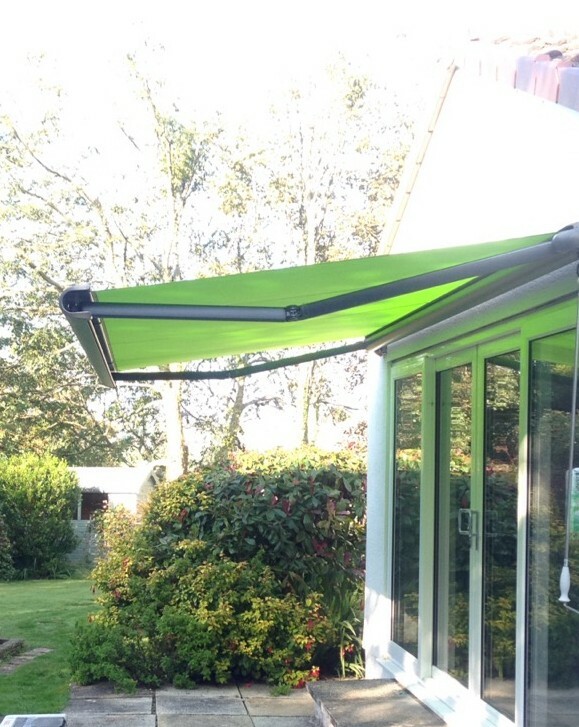 They even make an awning with speakers built in so you can stream music from your phone directly to your awning, its called ‘concertronic’. 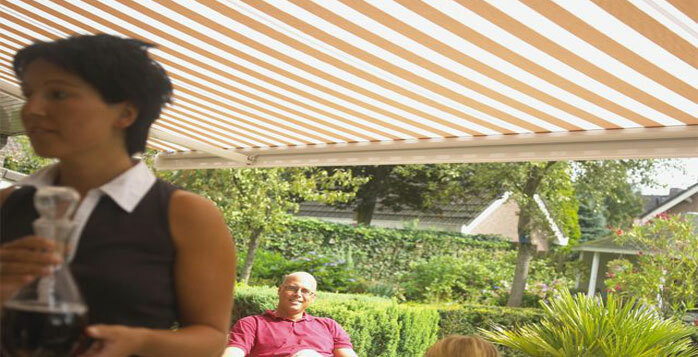 Makilux weave their own fabric in house, instead of using the traditional fabric, they have created their own, Sunsilk. 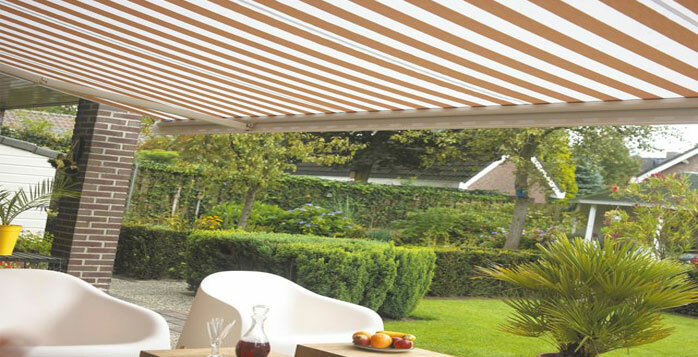 Its thinner and stronger than previous fabrics allowing greater luminosity of the colours and pattern, this in turn turns the living space under the awning into very elegant setting. 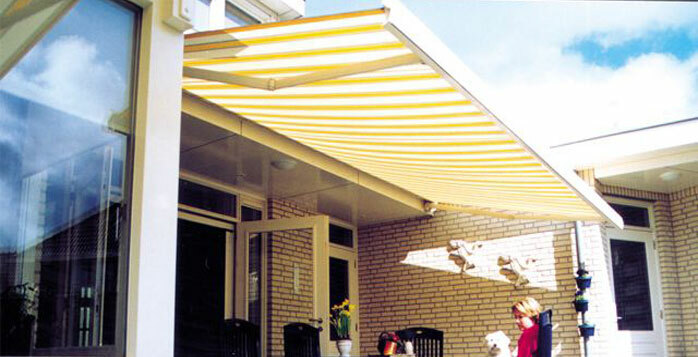 Sunslik is also much better at keeping itself clean, dirt literally can’y stick to it so just runs off! 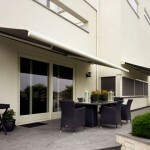 Markilux also have another innovative product called ‘shade plus’. 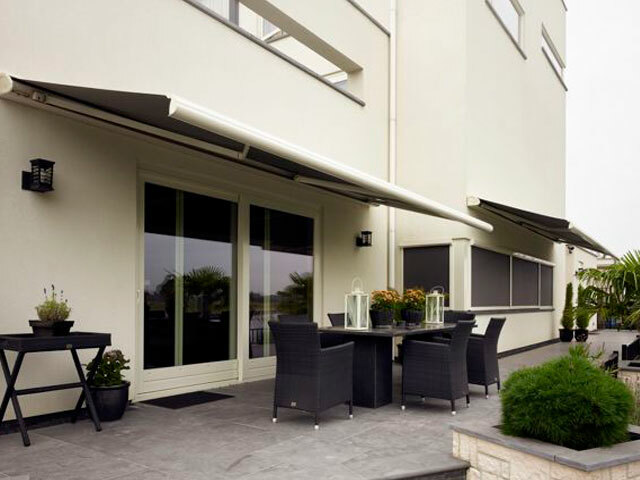 This is another vertical awning built into the front bar of the horizontal awning, this extends vertically down to give increased privacy and shading when required. 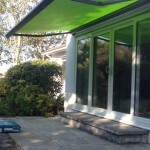 Coupled to this we can also install vertical side screens that pull out when needed.